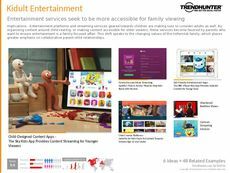 Find Better Ideas, Faster ® with a custom alternative family trend report, our PRO Dashboard and 80+ categories of premium trend reports. 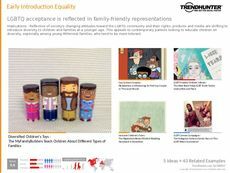 The Alternative Family Trend Report illuminates the differences in advertisements and marketing campaigns in representing the modern family. Many more LGBT couples are incorporated in mainstream ads that aren't explicitly encouraging equality or gay pride. We also notice a rise in dating apps and romantic events catering only to the gay community. This report is an excellent resource for marketing teams, advertisers and creative directors looking to modernize their stories and casts involved in their campaigns to represent true modern families. It's also a great tool for dating app developers and romantic product retailers. 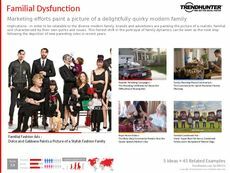 The Alternative Family Trend Report showcases the modern family and advertising campaigns and strategies that market to this wide variety of consumer demographics.